When all the spring breakers grew up and left Cancun, they went to Tulum. No, but really: Cancun’s younger, cooler sibling still maintains much of the easygoing, barefoot vibe that made this pocket of Mexico so attractive in the first place. 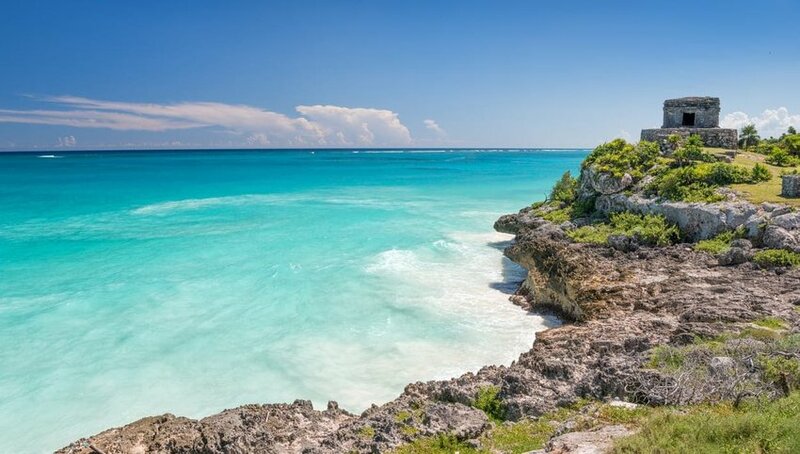 With stunning white-sand beaches (free from the massive development that’s plagued so much of Mexico’s coastline), excellent food—both from locals and expat chefs, and a relaxing yoga-centric vibe befitting its jungle setting, Tulum should be near the top of any traveler’s list for a refreshing long weekend. Tulum is about a 90-minute drive from Cancun’s international airport, which means flights are abundant and affordable. Since you’ll be spending most of your time in Tulum barefoot or on a bike, skipping the sometimes complicated and shady Mexican rental-car system isn’t a bad idea. If you choose not to rent a car (we don’t blame you), there are inexpensive ADO busses that run from the airport to Tulum about every 45 minutes. For just $7, they’re pretty nice rides, with air-conditioning and TVs. Once you’re in town, you’ll find plenty of taxis and bike rentals, both good options for getting around. Get in the Mayan mindset by first enjoying a spa treatment at Sanará, a luxury eco-boutique hotel right on Tulum Beach. While the hotel’s sprawling wellness center offers yoga classes and massages, you’re here for a Pudzyah Mayan treatment with Abuelo Antonio Oxte. In this healing, ceremonial experience, you’ll be rejuvenated through acupressure and massage, all taught to Abuelo Antonio by his maternal grandmother. Check in to your hotel and spend some time relaxing on the beach or strolling around town before heading to dinner at WILD. Set within the jungle, near the Sian Ka’an UNESCO World Heritage biosphere reserve, WILD has all the trappings of a swanky cocktail bar and restaurant like you might find in L.A. or New York. But the spacious restaurant (where you’ll dine under the stars), is still wholly Yucatán, relying on sustainably-sourced ingredients for dishes like a kicky green mole, served over broccoli and cauliflower with Lebanese-spiced amaranth. Nicolas Baptiste, the proprietor of the immensely popular Experimental Cocktail Club, is behind the cocktail menu, which uses juices, purées, and syrups made onsite with local ingredients like flor de Jamaica (hibiscus) and chipotle peppers. You’re up early on a Saturday to beat the crowds—it’s going to be a long day in the sand, surf, and jungle. Tulum is home to what seems like thousands of cenotes. You know, those Instagram-famous cerulean pools of water, typically found in the jungle when limestone bedrock collapses to exposes the groundwater underneath. 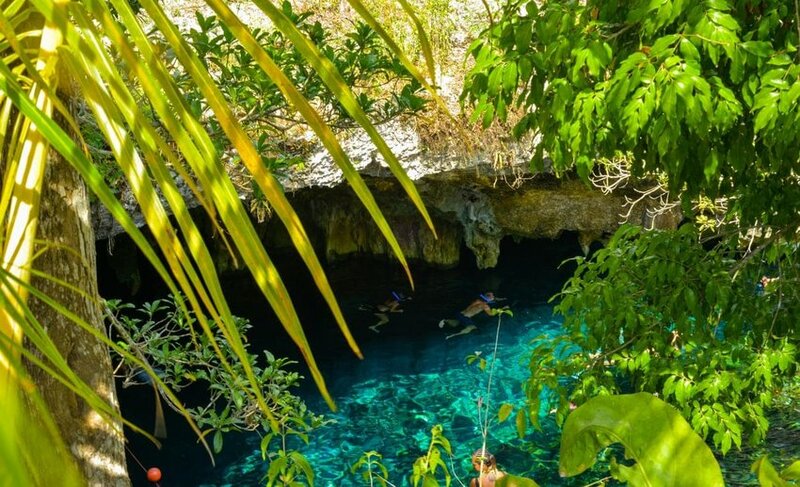 Among the most popular is the aptly-named Gran Cenote. A visit here costs about $5 and is worth the price of admission. If you want to enjoy it at its best, go early (around 8 a.m.), right when it opens. Spend a few hours here snorkeling (or diving), relaxing, and exploring the surrounding jungle. Have a local lunch of cochinita pibil (Yucátan-style roasted pork) at Taqueria Don Beto. This little gem prepares their pork the traditional way, marinated with orange juice, achiote, and garlic, before being wrapped in banana leaves and roasted low-and-slow underground. The meat is then piled on a delicate corn tortilla and topped with pickled red onions. (Tortas can be ordered, too, for about a dollar, but the fresh corn tortillas make the tacos the star of the show. This afternoon, you have options. If you’ve had enough activity and want to relax by the surf, drink in hand, head to Taqueria La Eufemia, right on the beach next to Casa Zamna. This low-key taco shack has good food, and if you didn’t splurge on a hotel room right on the beach, it’s a fun and affordable way to enjoy the water. Forego pricy lounge chair rentals and buy a drink every hour instead—not hard to do in such a beautiful setting. You’ll inevitably want to stay all day. Or head into town for an upbeat vinyasa flow class at Yoga Dicha, a welcoming bilingual studio where trained instructors can guide you through a restorative, invigorating class whether it’s your first or your 1,000th. For dinner, visit the charming, cozy Cenzontle, next to the famous Hartwood. Here, you’ll be served Mexican food with subtle global influences: Pork ribs are scented with peach and cinnamon, duck carnitas come with remarkably-fresh corn tortillas. Cenzontle also serves their own beer, the first made in Tulum. 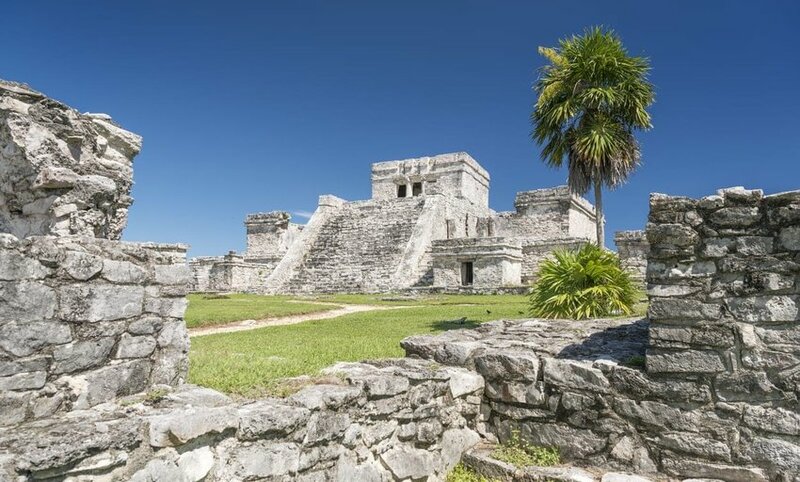 Tulum served as a significant site for Mayan civilization and remnants can still be seen today. 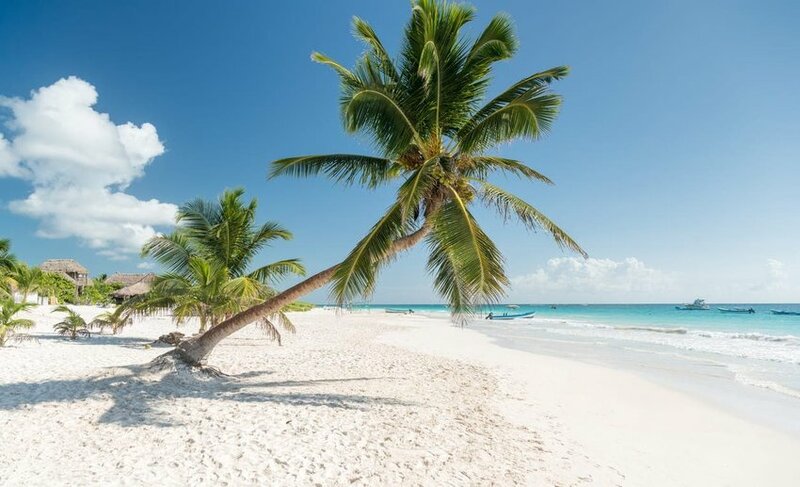 While Tulum’s ancient ruins aren’t as extensive as Tikal or Chichen Itza, they are set against a stunning beach backdrop with white sand and cerulean waters. The ruins are your first stop today: Going early ensures that you won’t be fighting crowds or roasting in the sun. The entrance fee is around $3.50. Before you head to the airport, grab lunch at Charly's Vegan Tacos. The restaurant’s namesake, Charly, worked in gourmet restaurants before decamping to Tulum to create a sustainable vegan restaurant that still relies on traditional preparations and ingredients, many from Charly’s grandmother herself. Situate yourself under the jungle canopy and relish in those last sea breezes as you dig into a plate of Charly’s famous “porkless crackling” tacos. Tulum’s burgeoning popularity means that the days of cheap and cheerful Airbnbs and guesthouses are becoming harder and harder to find. But, luckily, the town is still chock full of reasonably-priced accommodations that still have an eye toward luxury. You can’t go wrong with Sanará, a sustainably-built luxury resort with 19 rooms. If you want to be on the beach, splurge on one of the hotel’s Tamarind Suites, which have private gardens with outdoor bathtubs and ocean views. Located across the road, Sanará’s new jungle rooms are secluded within a compound covered by a canopy of Mayan jungle.